The crossover of tomorrow is here today. Volkswagen means business in the EV world. This week at the Auto Shanghai, the German carmaker has revealed its first electric crossover – the I.D. Crozz – with four-door coupe styling and SUV utility. Following the I.D. concept unveiled at the Paris Motor Show last September and the I.D. Buzz in Detroit earlier this year, the I.D. Crozz is the third member of VW’s fledgling I.D. family boasting a 311-mile range, distinctive design and new interior concept. The sporty, zero-emissions CUV sits lower than the all-new 2018 Tiguan with more compact proportions despite offering similar cabin space as the long wheelbase variant of the SUV. Based on the new Modular Electric Drive Matrix (MEB), like its I.D. brethren the Crozz utilizes a very long wheelbase, compact powertrain components and an 83 kWh lithium-ion battery residing under the floor, creating space and ensuring a low center of gravity. The zero-emissions all-rounder packs two electric motors – a 201-hp compact motor at the back and a 101-hp coaxial drive system up front – for a combined 302 horsepower. Rear-wheel drive is the norm, but an ‘electric propshaft’ can distribute power between the front and rear axles in milliseconds and the Crozz can also be put in permanent all-wheel drive when offroading or tackling snow. Top speed is rated at 112 mph and with a 150 kW (DC) fast charger, its high-performance battery can be recharged to 80 percent within 30 minutes. 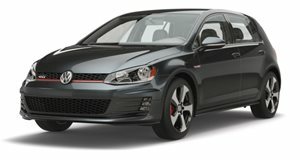 The position of the battery and motors affords the Crozz a 48/52 percent front/rear weight distribution; and with it the handling characteristics of a Golf GTI. Multi-link rear and strut-type front suspension has electronic damping, providing sharp handling at high speeds. Talking of the I.D. Crozz’ design, Klaus Bischoff, Head of Design for the Volkswagen Brand, explains: "If it was ever possible to make a one-hundred percent certain prediction of what the future will look like, here it is. In 2017, we are showing how Volkswagen will be transforming the roadscape from 2020. For us, the three prototypes of this new generation of zero-emission vehicles—I.D., I.D. Buzz and I.D. Crozz—mark the start of a design and technology revolution that is going to change individual mobility and the Volkswagen brand forever.” A muscular hood, pronounced fenders and contoured wheel arches give the Crozz a sports car silhouette, with ‘invisible’ B- and C-pillars providing a unique roof effect. Interactive LED headlights flank an illuminated VW badge at the front, LED matrix taillights do likewise at the rear, while a moveable light blind in the panoramic roof creates ambient lighting both inside and out the car. VW has put some serious work in to the lighting of its new concept. A 360-degree light show greets the driver, from the badges to the LED lights that emulate the human eye and can even be set to ‘wink’ at the driver. A lounge-like space offers multifunction seating, while loading is made easy thanks to wide-opening front doors and a passenger compartment that retracts fully back. A clean air system promises the air quality of the Himalayas while driving through downtown Shanghai, and the I.D. Crozz is operated and monitored via voice and gesture controls, a 10.2-inch touchscreen, the high-tech steering wheel, head-up display and 5.8-inch Active Info Display. Autonomous mode, dubbed ‘I.D. Pilot,’ is activated by touching the VW logo on the steering wheel for three seconds. Ambient lighting switches from white to magenta/violet light and extends to the rear. Simultaneously, the steering wheel retracts into the dashboard, fusing with the instruments to form a single digitized unit, while laser scanners emerge from the roof, detecting other road users with help from ultrasonic and radar sensors, a front camera and side area view cameras. Apply the brakes, accelerator pedal or touch the logo and autonomous mode is immediately deactivated. Owners can also use the Crozz to send and receive packages. Delivery agents can find the car by GPS, open the 18.2 cubic-foot trunk via an app, and notify the owner once the package is delivered. By the middle of the next decade, Volkswagen intends to take its electric drive systems into high-volume full production models. Herbert Diess, Chairman of the Board of Management, Volkswagen Brand says: "By 2025, we want to have sales of pure electric vehicles up to one million units a year. The I.D. Crozz will play a key role in that. Production will start in 2020."